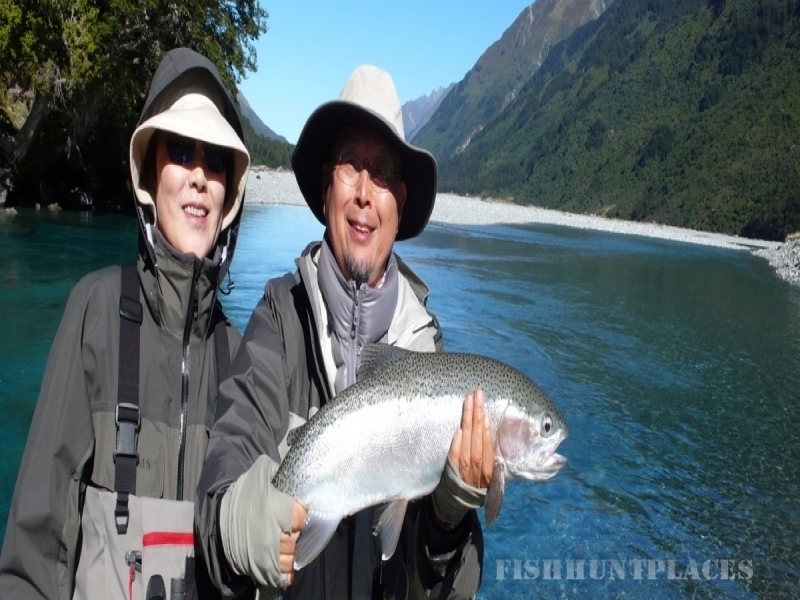 Fly fishing in New Zealand’s South Island is often described by anglers as “more like hunting than fishing” after they experience a typical day sight fishing to our wild brown and rainbow trout. Taking advantage of our clear water conditions, we first sight the fish and then attempt to stalk and cast to it (this is called “sight fishing”). 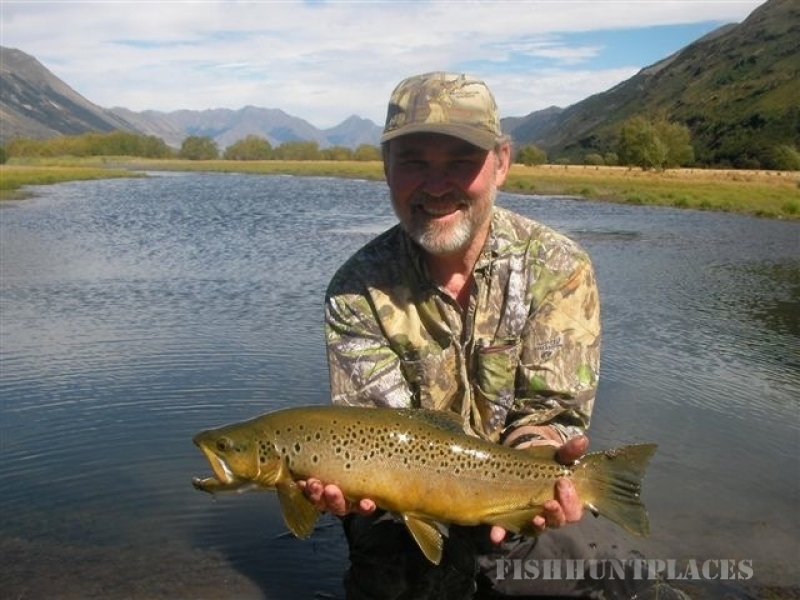 You can be genuinely proud when you hook and land one of our wild New Zealand trout. On a more general note, the backcountry fishing in our remote scenic locations is not as “hatch driven” as lowland rivers. The trout are often “opportunity feeders”, and if a good cast is achieved, the trout will more than likely have a crack at your fly. In some areas where the trout are larger and more cunning than usual, that’s when we bring our “A” game – spotting the trout at a distance, careful fly selection, stealthy approach, and a careful cast. 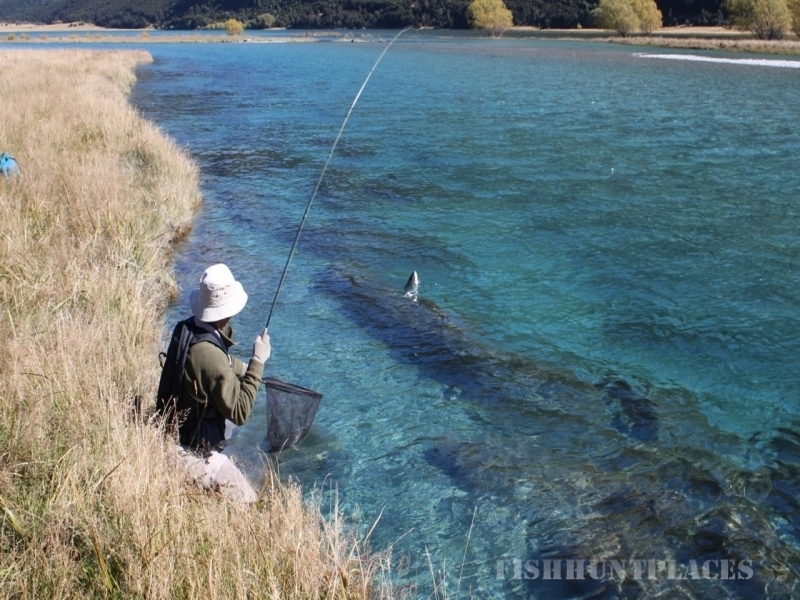 The fishing in New Zealand is not always easy. But it is always good.